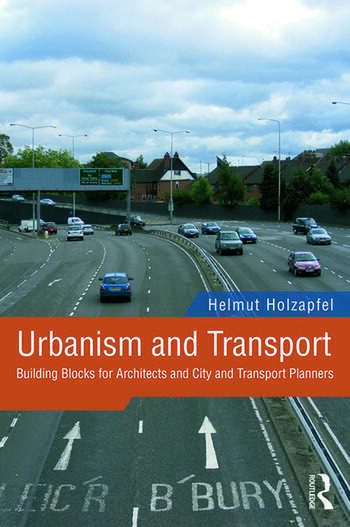 Helmut Holzapfel’s Urbanism and Transport, a bestseller in its own country, now available in English, examines the history and the future of urban design for transport in major European cities. Urbanism and Transport shows how the automobile has come to dominate the urban landscape of cities throughout the world, providing thought-provoking analysis of the societal and ideological precursors that have given rise to these developments. It describes the transformation that occurred in urban life through the ongoing separation of social functions that began in the 1920s and has continued to produce today's phenomenon of fractured urban experience – a sort of island urbanism. Professor Holzapfel examines the vital relation between the house and the street in the urban environment and explains the importance of small-scale, mixed-use urban development for humane city living, contrasting such developments with the overpowering role that the automobile typically plays in today's cities. Taking the insights gained from its historical analysis with a special focus on Germany and the rise of fascism, the book provides recommendations for architects and engineers on how urban spaces, streets, structures and transport networks can be more successfully integrated in the present day. Urbanism and Transport is a key resource for architects, transport engineers, urban and spatial planners, and students providing essential basic knowledge about the urban situation and the challenges of reclaiming cities to serve the basic needs of people rather than the imperatives of automobile transport. Helmut Holzapfel studied civil engineering, first working in leading positions from 1980–1993 as a transport scientist in research groups and later as an official at the Transport Ministry of North Rhine-Westphalia, Germany. Since 1993 he has been a professor at the Faculty of Architecture, Urban and Landscape Planning at the University of Kassel, Germany, and since 2009 has lead the research project "Sintropher" in close collaboration with Sir Peter Hall. Urbanism and Transport was published in German as Urbanismus und Verkehr and went on to become one of the bestselling books on urban and transport planning.